Saturday was a good day to visit the desert. 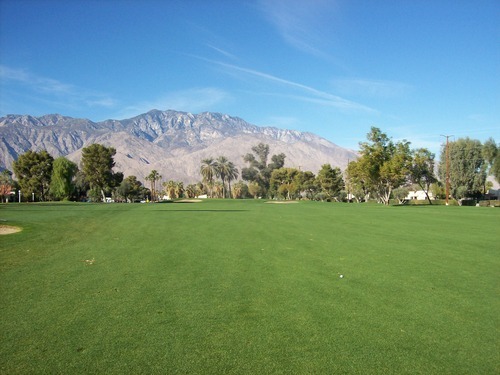 I knew the weather would be great, as it often is during the winter months in the beautiful Coachella Valley. 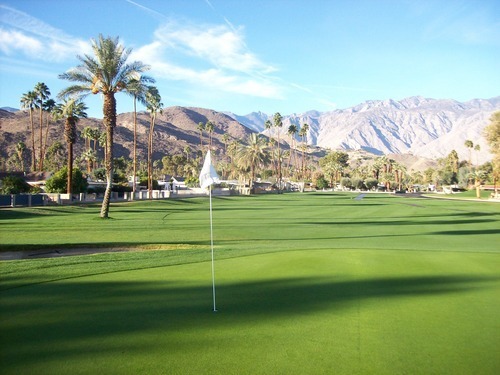 There are a ton of courses out there. Many of the them are private, but there are still a handful of public options on my list to play. 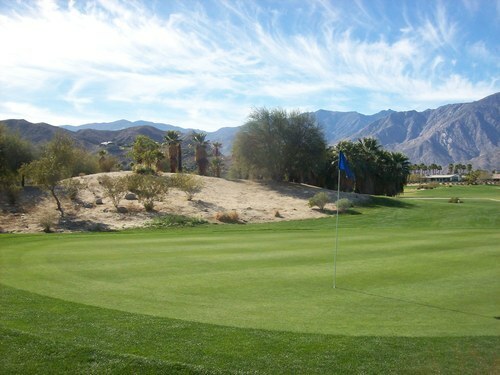 Among those were the two layouts at Tahquitz Creek Golf Resort in Palm Springs. I started the day on the Legend Course, generally considered the weaker of the two. 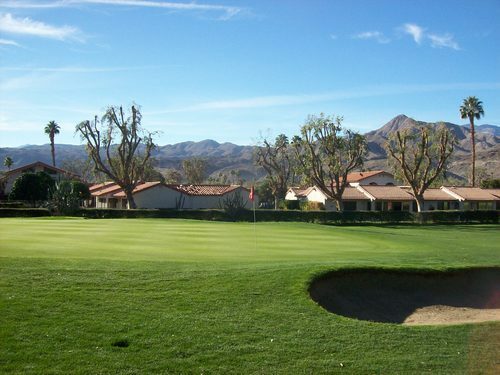 It’s more of an old style course and comparable to some other older courses in the region with nice scenery, a rather basic residential layout and relatively good conditioning. 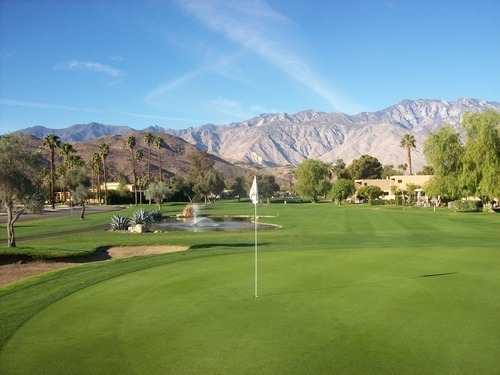 The course was originally opened as Palm Springs Municipal Golf Course back in 1957. 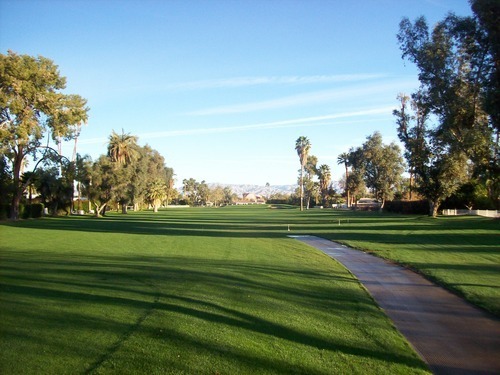 It started as a nine-hole design and then was expanded to a full 18 a few years later. 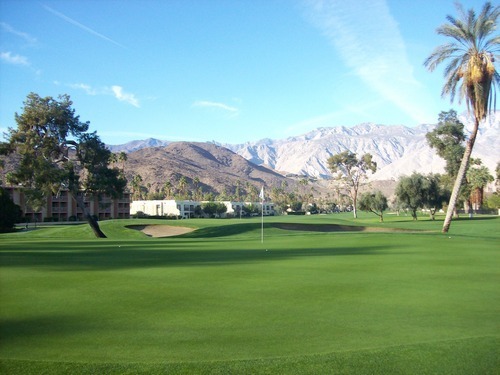 Ultimately, it was updated a little by Arnold Palmer Golf Management and paired with the newer Resort Course as part of Tahquitz Creek Golf Resort. 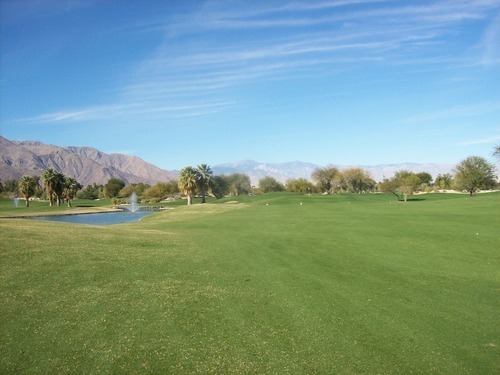 I had booked a 7:07 tee time through GolfNow for $59. 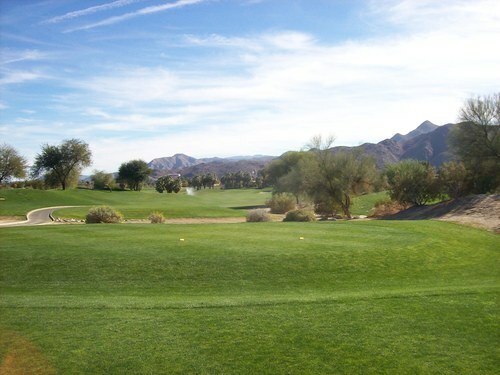 A bit overpriced for this course, but reasonable for peak season prices out in the desert. I ended up in the first group off the tee with three other singles. We moved at a great clip and finished in just three hours. As for the layout, there isn’t anything super exciting here. 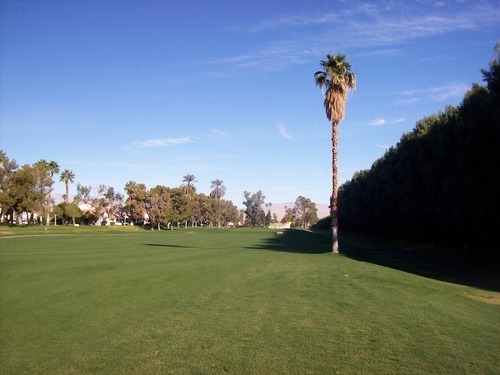 It’s mostly tree-lined fairways that are very flat and wide open. 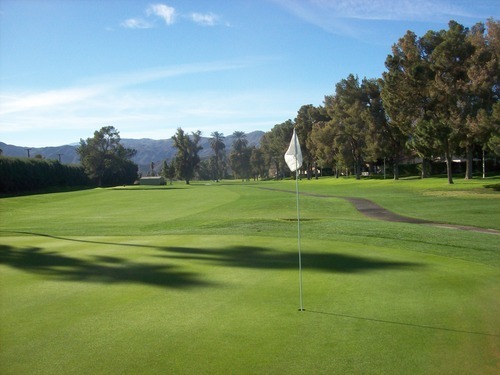 There is not much trouble to get into from tee to green. 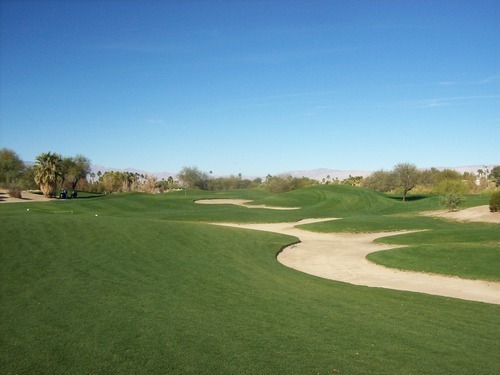 It’s a reasonably long course, playing at over 6,800 from the back tees, but there’s nothing keeping long hitters from aggressively hitting drivers off of most tees. 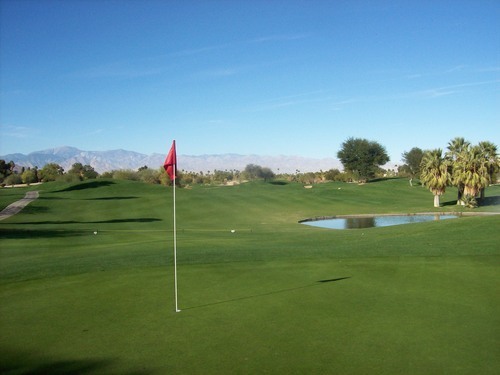 There is only one water hazard on the entire course. It’s on the par-3 12th hole, which is probably the most interesting hole in my opinion. It sits right along the edge of a road and that takes away a little from it visually, but it’s still a good-looking design thanks to the water hazard providing a nice aesthetic touch. 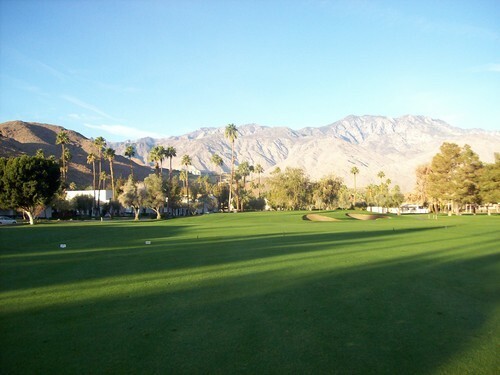 There is a big wash that runs through parts of the course closest to the clubhouse. 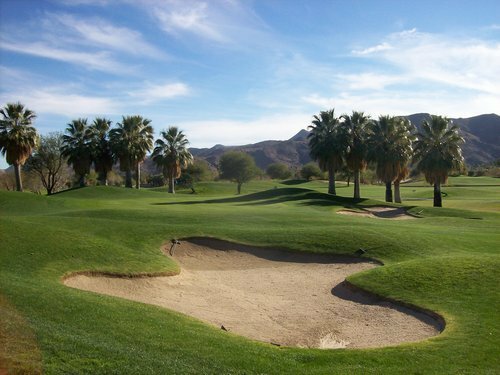 The 1st, 9th, 10th, 14th and 18th holes require tee shots directly over it and the 17th has you hitting it over it on your approach. I’m not sure what it normally looks like, but I guess a storm did some major flood damage and now that whole wash is a big, ugly dirt/mud pit. 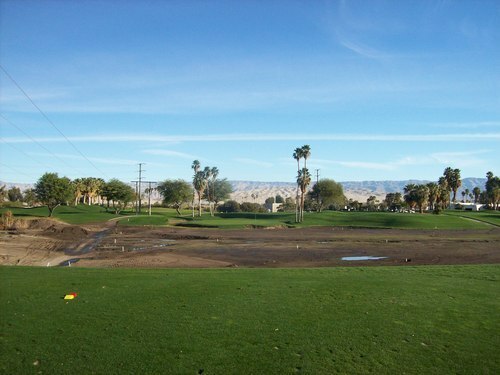 The cart paths running through it are all flooded and muddy, as well, so it’s a bit of a scar on an otherwise nice-looking course with the nearby local mountains as the backdrop. There’s not much else that’s notable about the Legend Course. It definitely falls toward the lower end of the list in the region as it’s fairly basic in most respects. 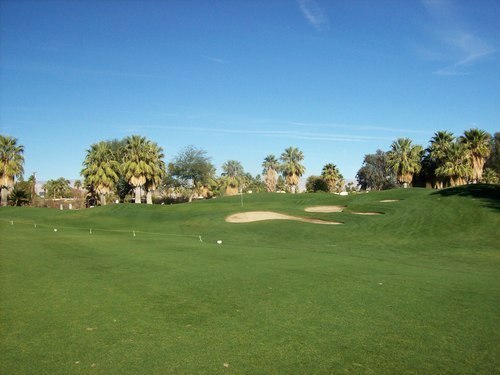 The course was in good shape, which did add some appeal. It was very lush and green throughout. It was really wet and soggy in the early morning, though, so that made the course play tougher than normally would. The tee boxes were excellent. 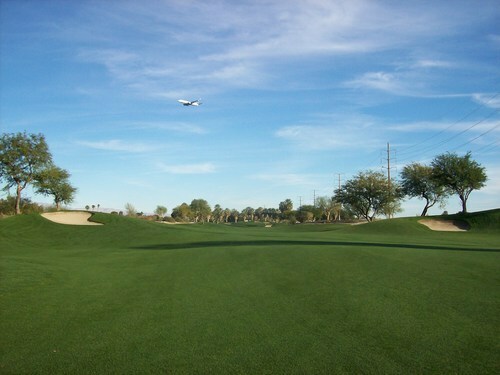 The fairways were a tad shaggy and didn’t roll out at all because they were so wet. The rough was deceptively difficult. It wasn’t deep, but it was really thick and so wet. It felt like hitting through seaweed, so it was definitely penal if you found it. The greens looked pretty good, but were brutally slow on putts. However, the surfaces were still rather firm despite the dampness. 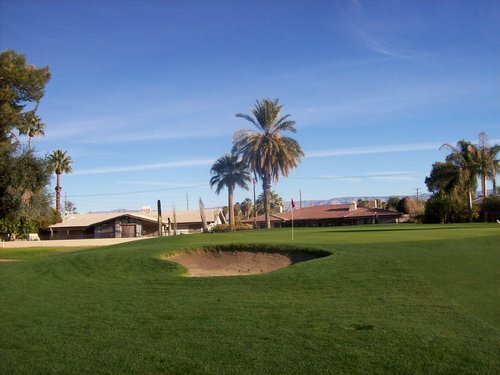 I wasn’t in a bunker until the 18th hole. They all looked a bit hard-packed, but the one I was in actually had pretty good sand. 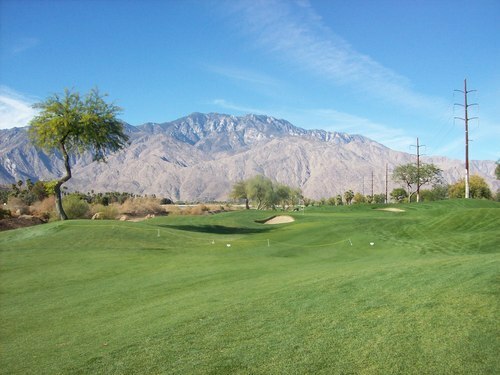 There are enough better options in the area (and at the same facility, in fact) for the middle price range the Legend Course is in. It’s fine, but nothing special. The morning round actually went a little quicker than I expected (and hoped), so I took my time to enjoy a good lunch at the Traditions Cafe in the clubhouse. I had a tasty plate of chicken soft tacos. I had booked a 12:52 time, also through GolfNow. I knew it was going to give me a little extra time in between rounds, but it would be worth the wait since it was a special pre-paid “hot deal” rate of $45 compared to the much higher regular prices that time of day. Still, I checked in with the starter a little before 11:00 to see if I might get out with an earlier group. I could see the Legend Course was packed and groups were lined up to tee off, but the more desirable Resort Course didn’t look nearly as busy for some reason. As the starter scanned the tee sheet, it looked very wide open. They offered me the option to go out right away by myself (but be stuck behind a steady flow of groups) or wait until 11:22 and join a twosome. I opted to wait. 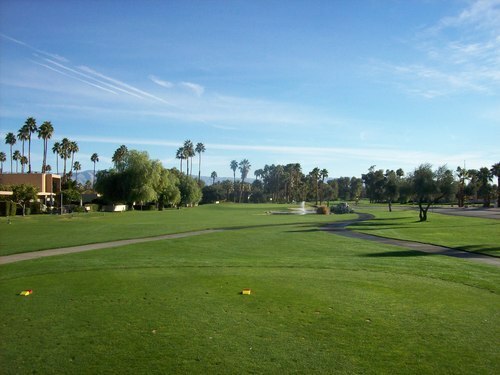 I was paired with two really nice elderly guys (both just turned 80, they told me), and I had a great time playing with them. We were the last of the morning pack, so we did have to wait on the group ahead of us at times, but never too much. There was nobody behind us, so we never felt rushed on our shots and it was a nice relaxed pace of 4 hours, 20 minutes. I knew coming in that I’d probably enjoy the Resort Course much more than Legend. That turned out to be the case. This is a much more interesting and fun layout. 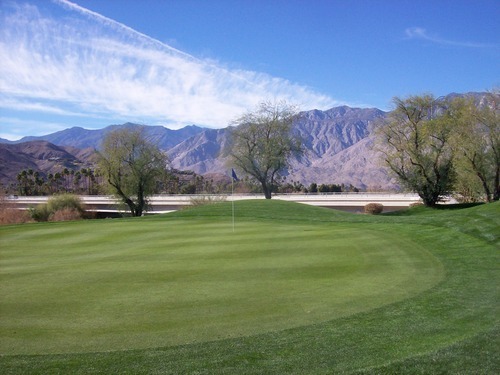 I’m not sure I would deem it more challenging because it’s a shorter course than Legend, so it may depend on your skill set as to which course better suits your game. 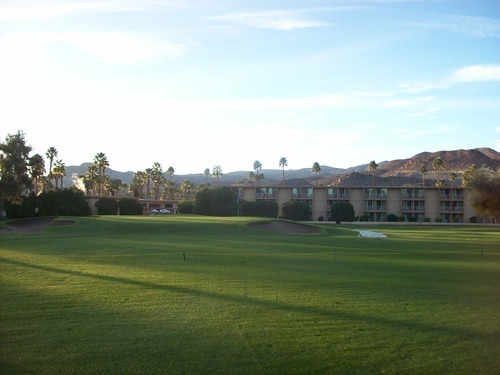 Resort definitely demands more strategy and accuracy, but I still wouldn’t quite call it a “target” layout because it is still somewhat forgiving. The scenery is even better on Resort, with less houses around and more open views of the mountains. 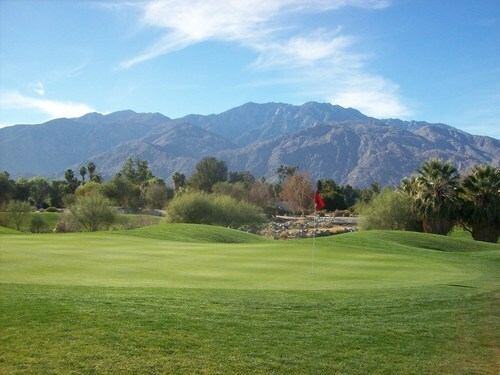 On several holes, you get a nice view of the hills where Bob Hope’s iconic “volcano” Palm Springs house sits. 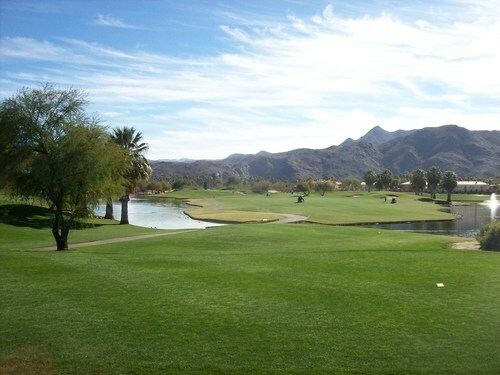 There are a lot of water hazards on the Resort Course, which was designed by Ted Robinson, Sr. 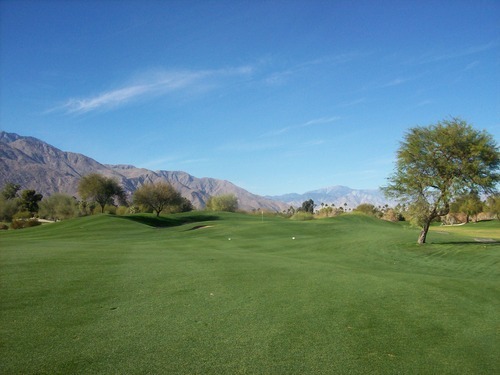 The signature “Robinson” look can be seen clearly along the great stretch of holes 5-10, as well as the great little par-3 17th. 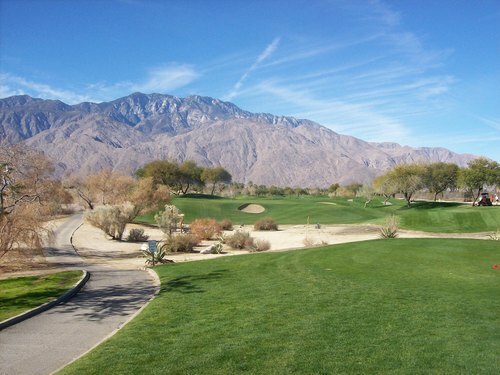 There is also some nice desert landscaping throughout parts of the course, too, so that adds a nice aesthetic quality that’s vaguely reminiscent of Desert Willow at times. 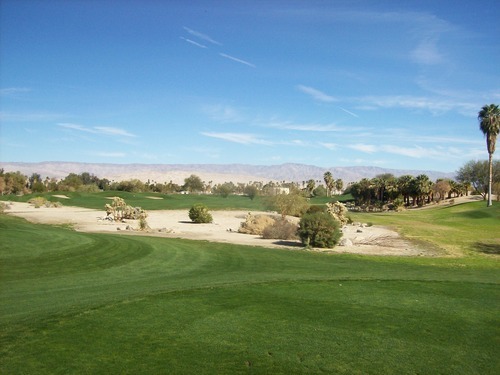 The 7th hole is the centerpiece of that middle stretch as it features a rare “island” fairway that is not as intimidating as it sounds, but still requires a smart shot off the tee and then a slightly uphill approach to the green with a big false front. 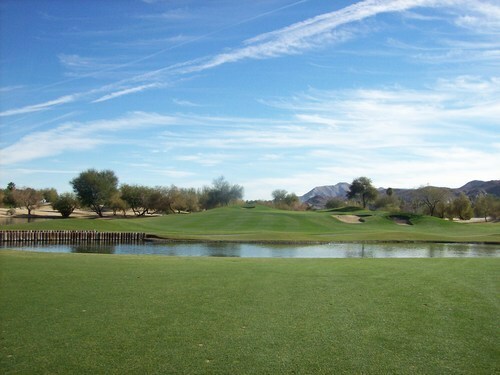 The 17th is a short par-3 directly over water. All the holes have clever names on the scorecard and this one is known as “Water Park.” That not only refers to the water hazard you are hitting over, but the big ]water park located directly behind it. Though there are not many houses around this course, parts of it do run right next to this water park and another big sports/recreation area, so I can imagine it can be loud and distracting during certain times of year. 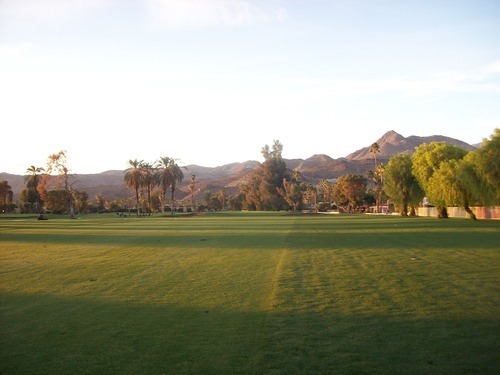 What I really liked about the look and layout of the Resort Course is all the contouring and mounding found along the fairways and around the greens. There aren’t many flat lies here, and the visual presentation helps you see where to aim better than the more wide open Legend course. For me personally, I like having something to focus on rather than just swinging too freely (and usually too wildly) on the tee. 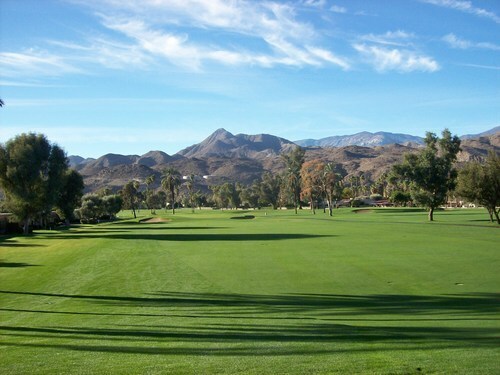 The Resort Course was also in good overall shape. 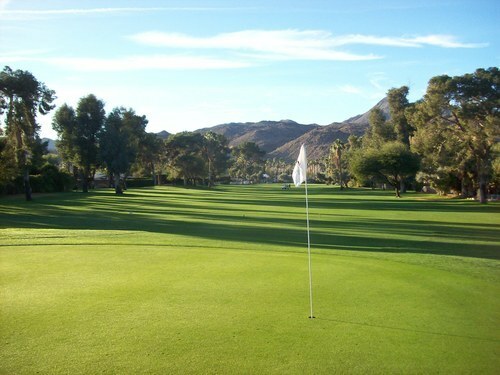 The grass wasn’t quite as deep a green color as the other course, but the playability was much better. Because there are more water hazards here, there are a lot of coots and geese out there eating all the seeds and doing their business. 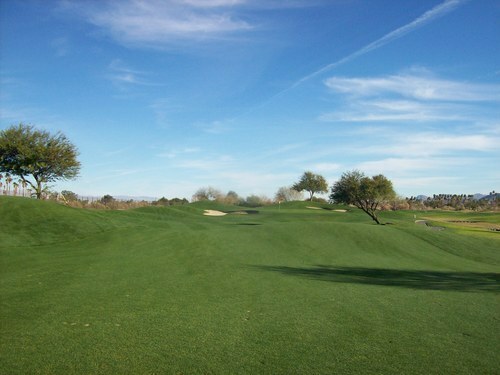 Beyond that, though, the course was looking and playing pretty well. The tee boxes were excellent. The fairways were cut a little tighter than on Legend (and dried out by the afternoon), so they were much better to play from. The rough was also cut tighter on Resort and there were some thin areas around the water hazards where the birds have done their grazing, so the rough was always easy to hit from. The greens were a little disappointing. 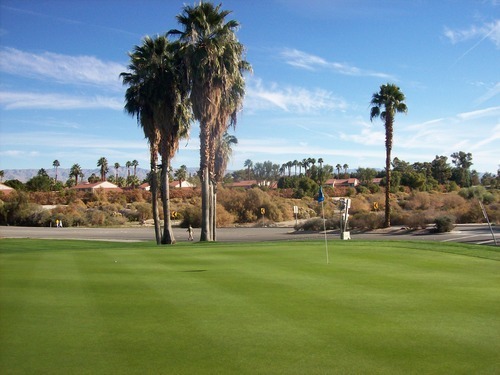 The grass coverage was good and they were rolling at medium/slow speeds, but they were really pock-marked with old ball marks (not fresh marks, but old poorly repaired ones that left dimples everywhere) and putts could be a bit bumpy. I was in a couple sand traps early on and they were a little weak with a good number of small pebbles mixed in. 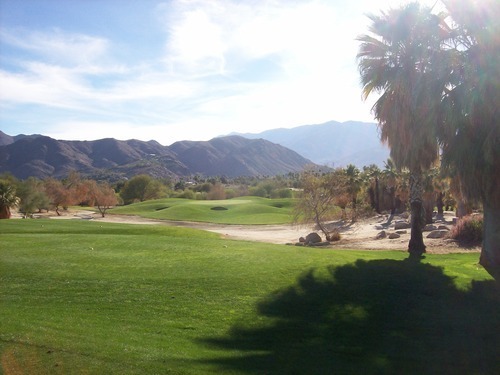 Of course, I’m nitpicking a bit and judging conditions compared to peak Coachella Valley winter standards. 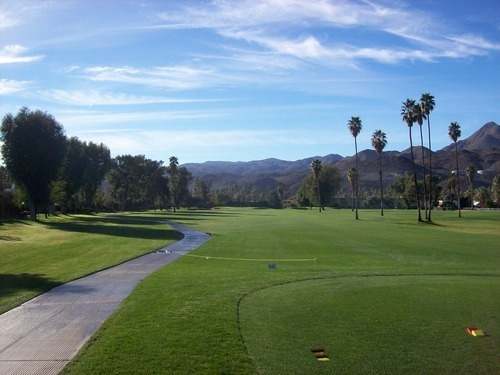 If I were playing a course that looked anywhere near this nice in other parts of SoCal right now, I’d be gushing about how gorgeous it was. So keep in mind it’s all relative. 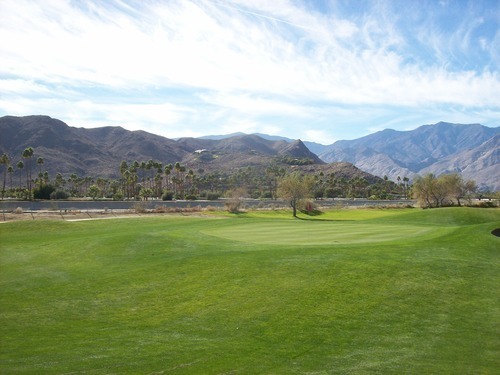 The wash that is so damaged on the Legend Course only comes into play on the first two holes of Resort. 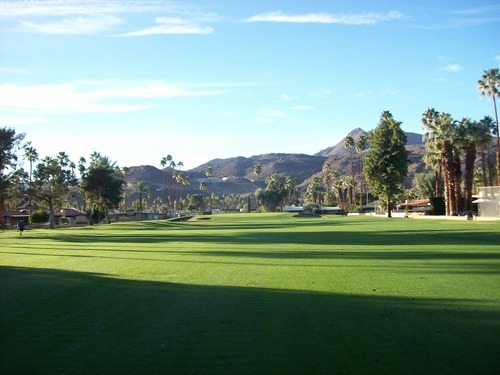 It did eat up some of the left edges of those first two fairways and the cart paths are currently roped off, but it’s only a minor issue on this course compared to the other. 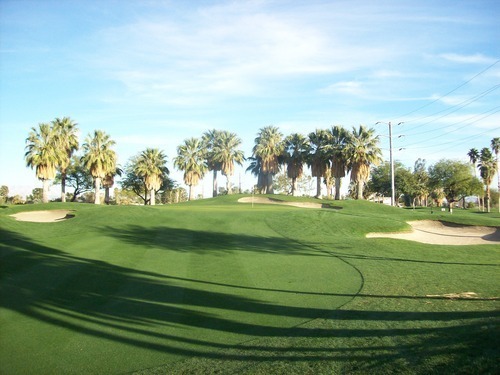 I definitely enjoyed the look and layout of this course, and I would consider it one of the more underrated options in the area when compared with others in the middle price range. It’s overpriced right now as far as rack rates go, but so is everything else out there and reasonable deals can be found. 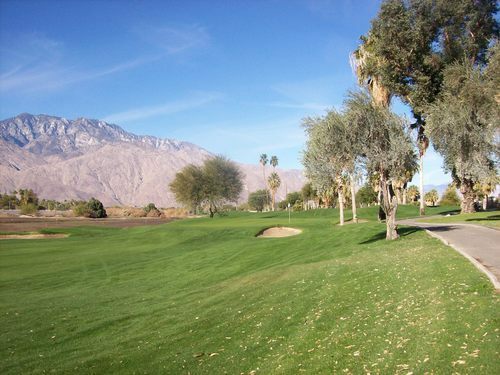 There are still a ton of amazing options in the Coachella Valley, though, so it’s hard to say exactly where to rank it. I’m sure I’ll be back to play it again, so I don’t have any problem recommending it if you get a good price. 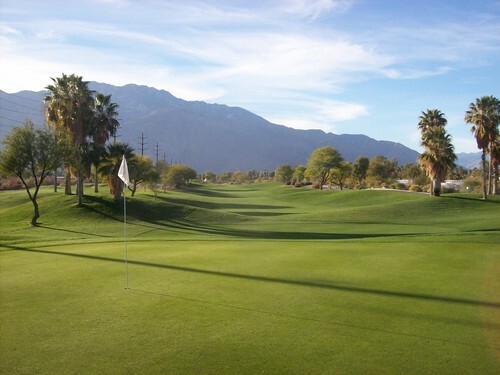 Arnold Palmer, CA, California, Coachella Valley, Desert Golf, Golf, Golf Course Architecture, Golf Course Photography, Golf Course Photos, Golf Course Reviews, Golf Courses, Legend Course, Palm Springs, Palm Springs Municipal Golf Course, Resort Course, Riverside County, SoCal, Southern California, Tahquitz Creek Golf Resort, Ted Robinson Sr.